Alexa Harris likes a challenge. At twenty-nine, she is the youngest ever director at the world’s leading magazine publisher, Senate Media. So when the head of the UK business calls upon her to head up their flagship “lads’ mag”, Banter, it doesn’t take much for Alexa to accept. But life on the all-male editorial team proves harder than Alexa had imagined – not just because of her ambitious targets. The pervading attitude in the office is one of light-hearted misogyny and on more than one occasion, a practical joke crosses the line into sexual harassment. As Alexa’s initiatives start to take effect, Banter is pushed further into the public eye and the young, female director finds herself the victim of an increasingly personal hate campaign led by some persistent women’s rights activists. Standing her ground, Alexa is forced to defend the very principles she rallies against every day in the office and begins to question her own beliefs. Do magazines like Banter perpetuate a culture of hatred against women, or is it all just harmless banter? Out Sept 2011, It’s a Man’s World dives deep into the murky depths of today’s magazine industry and asks uncomfortable questions about what goes on in the male-dominated world of lads’ mags. Is it a corrosive force on our society, or is it all just harmless banter? The launch party took place in Central London on 14 September 2011. It was here that Polly ‘dumped’ her publisher, HarperCollins, for the titles and covers assigned to her books. 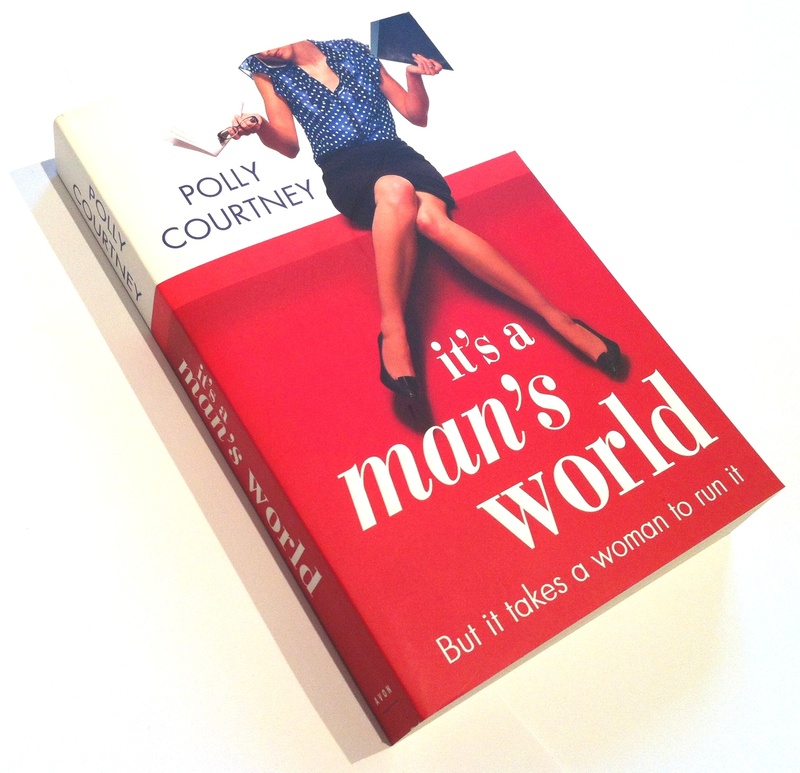 It’s a Man’s World is available in all good book shops as both paperback and ebook. A rapper has rapped about my book. How many authors can say that?